New map uploaded. Latest as of 24 April 16. @kucai, thx for the map. just want to check, on my osmand, I don't see JB or Penang in this new map..
something wrong with my osmand or your map really doesn't include JB & Penang? I need to fix that I guess (I thought it was included during initial check in Osmand, turns out that I was looking at the older map files.. duh!). It has to do with how the OSMand mapmaker works. Previously, I just gave the PBF file for Malaysia-Singapore-Brunei region as a file name to process, and the mapmaker automatically converts everything to their appropriate boundaries. This recent one asks me for a bounding box, which I thought was a bug or something redundant, so I made just an estimation of the region to be covered. Do realize that to put a rectangle that covers Malaysia would also mean including a lot of Indonesia too..
Give me some time to figure out this thing..
Latest map 15 may uploaded. and tested.. yayyy..
Uploaded new map 17 August. Not tested yet but seems reasonable. Previous map 73MB, this one is about 85MB. Compiling the map from pbf to obf takes at least 5 minutes.. easy..probably more on my Compaq presario CQ40 with 4GB RAM. 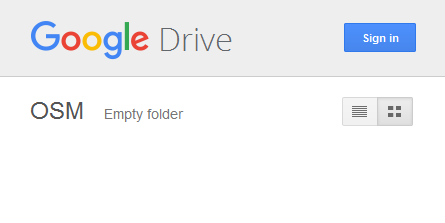 Uploading the resultant to Google Drive on a supposedly 1M Streamyx line took about 30 minutes.. File baru update for Osmand. If I have time I'll try osmosis for Oruxmaps etc. Processing still takes some time on an i3 laptop. Is it same with Osmand offline map that update monthly in the app? This is user:kucai's own initiative, so if he has free time, he can get more updated map (than waiting for monthly updates). You can DIY too if you'd like that. Oh I didn't know anyone can DIY it. Thanks kucai for your work. Extracts from BBBike.org can help! Latest map for osmand available. 8 July 2018. Trying to create map for orux/locus mapsforge based apps. Stay tuned. Also available for mapsforge based apps but without any coastline. Seems like a bug in the map plugin. Besides, trying to get the mapwriter plugin to work with osmosis is a challenge. I had to use osmosis version 0.40 in order to get it to compile. I'll research the coastline work around later.